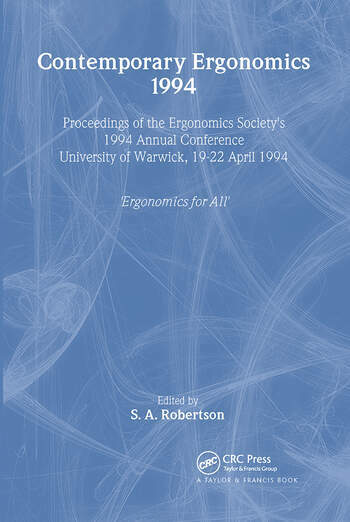 This is a volume in the international "Contemporary Ergonomics" series, which forms a record of the proceedings of the Annual Conference of the Ergonomics Society, held at Warwick in 1994.; The refereed contributions cover the full spectrum of current experience and practice in ergonomics, and its relevance to the workplace, industry, transport, the home and leisure pursuits. 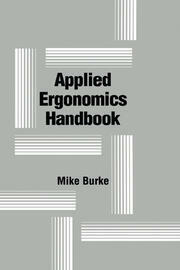 The keynote address is entitled "Function Allocation in Manufacturing" by Colin G. Drury of the State University of New York, USA. 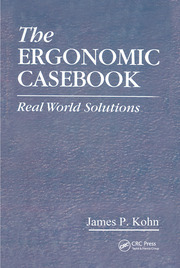 Occupational Health; User-Involved Design; Railway Ergonomics; Process Control; Lifting; Formal Methods; Military and Aerospace Ergonomics; Drivers and Driving; Manual Handling; Upper Limb Assessment; Simulation; Accidents and Errors; Methodology; Auditory Warnings; Work Physiology and Sports Ergonomics; Ergonomics in Industry; Human-Computer Interaction; General Ergonomics.